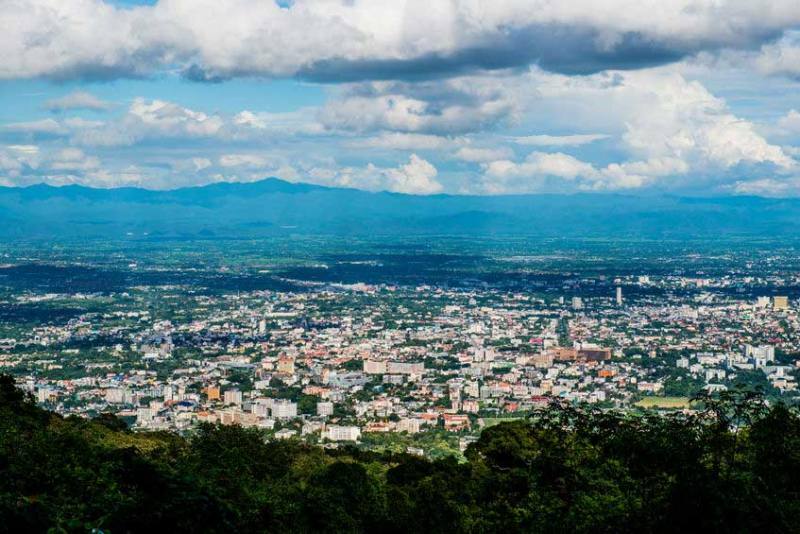 Over the last 20 years or so Chiang Mai has developed from being a backpacker’s-only destination with budget hotels and guesthouses to a tourist hot spot offering a full and exciting range of accommodation. Chiang Mai hotels are now available from basic guesthouse accommodation to full Chiang Mai luxury hotels. 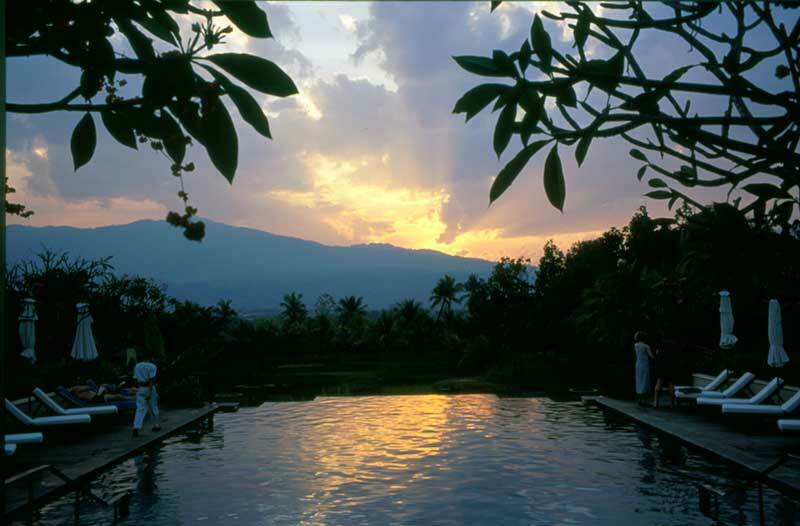 You can choose a Chiang Mai boutique hotel or discover wonderful resorts like the Four Seasons hotel Chiang Mai. You will find many of the large hotel groups here but the landscape is also populated by individual boutique establishments that are often styled in the Northern Thai, Lanna architectural tradition. These are often the preferred choice of the modern Chiang Mai traveler who is searching for unique hotels in Chiang Mai Thailand. The leafy boulevards with a golden temple at every turn has made Chiang Mai a popular alternative to the hustle and bustle of Bangkok. As well as being a cultural center it offers excellent shopping opportunities from street and craft markets to whole craft villages. There are modern shopping centers and sprawling markets seemingly offering every possible commodity. Flower, fruit and vegetable markets sell locally produced produce that grows in the verdant Chiang Mai valley or continually streams down from the surrounding mountain villages. 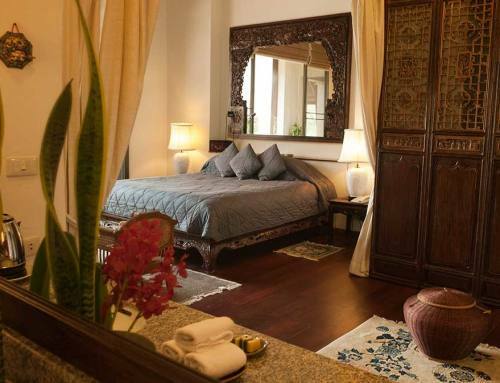 Many visitors choose to find Chiang Mai hotels that are central to both the old town and the modern city center. Downtown hotels in Chiang Mai Thailand can be selected within walking distance of all the major attractions such as the night market or the Sunday walking street market. For many just walking around the broad avenues or exploring the narrow backstreets is all that is needed for an enjoyable day out. Delicious food and drinks are there to tempt you on every street corner and the incredible number of delightful temples offer unique havens of peace throughout the city. The mighty Ping River carves a meandering path right through the city and many Chiang Mai luxury hotels can be found with grand views of it whether from downtown multi-stories or riverbank hotels. The river itself offers boat trips that give you a unique view of the city and can take you into the countryside within just a 30 minute ride. For some a meal on one of the dining river craft gently cruising up and down the river in the early evening is a bucket list item on their visit to Chiang Mai. Just as culture, shopping, temple-hopping and sightseeing attract city center visitors, the surrounding foothills of the Himalayas provide wonderful views along with an abundance of adventures and attractions. To the north of the city lies Mae Rim at the gateway to the Mae Sa and Samoeng valleys. This is the playground of Chiang Mai offering jungle bungee jumps , zip wires, white water rafting, bamboo rafting, trekking, mountain bike trails, elephant rides, off road motor bike and ATV trails. There are snake farms, the Tiger Kingdom and monkey schools, as well as orchid farms, waterfalls and botanical gardens. 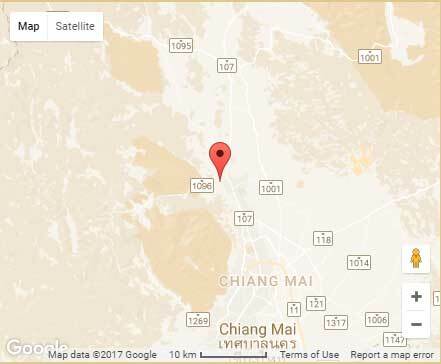 For this reason, and the fact that it is still only a 30 minute drive to downtown, many people stay at one of the Mae Rim hotels. 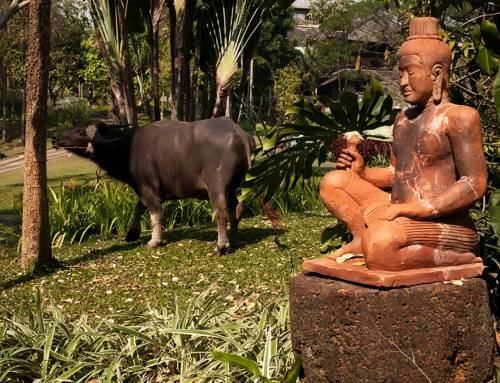 Possibly the best known of these is the Four Seasons Chiang Mai. 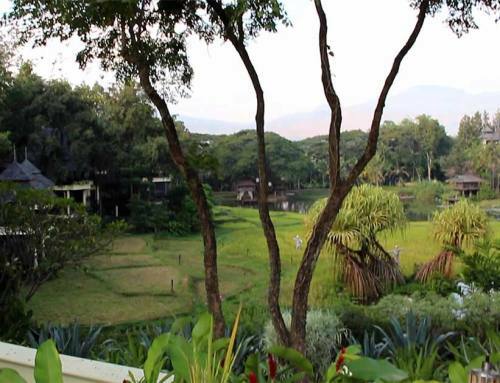 It offers 5 star accommodation, restaurants and bars set in incredible, carefully tended, landscaped grounds, with rice paddies and lily ponds and views to the mountains beyond. So if you are searching for Chiang Mai Thailand hotels you will find that you have a great selection to choose from. Maybe a Chiang Mai boutique hotel in the heart of the old city or a resort nearer to the mountains will be your preference. Whatever you decide you will probably wish that you had more time to spend in this wonderful destination just an hour or so flight from Bangkok.